This is to draw your urgent attention towards the tragic deaths and injury of migrant workers on Alang beach, Bhavnagar, Gujarat on June 28, 2014 due to a blast triggered by a suspected gas leak that took place in a ship being dismantled at the Alang ship-breaking yard in plot number 140. This is part of a pattern that is crying for attention since 1984 because Alang has become the graveyard of workers and toxic ships by externalizing human and environmental cost. I wish to submit that the dismantling of end-of-life ships from ship owning developed is underway in violation of the Hon'ble Supreme Court's order which had directed that no foreign end-of-life ship can Indian waters without prior decontamination by the country of export. End-of-life ships have scrap steel, mechanical parts and other valuable equipment that are recycled or refurbished for use in other industries. These ships contain an array of hazardous materials, such as asbestos, polychlorinated biphenyls (PCBs) and waste oils, which, according to the Basel Convention, can have serious implications for the environment and human life if not managed properly. I submit that as of now trade in end-of-life ships is regulated by UN's Basel Convention on the Control of Transboundary Movements of Hazardous Wastes and their Disposal was adopted on March 22, 1989, that came into force on May 5, 1992. India ratified it on June 24, 1992. There is an urgent need to examine the papers of all end-of-life ships currently beached on Alang beach to ascertain whether or not they have complied with the Court's order and the Basel Convention. The country of export of the ship is required to inform the country of import of the movement of the ship in question and certify that it is non-hazardous and non-toxic. 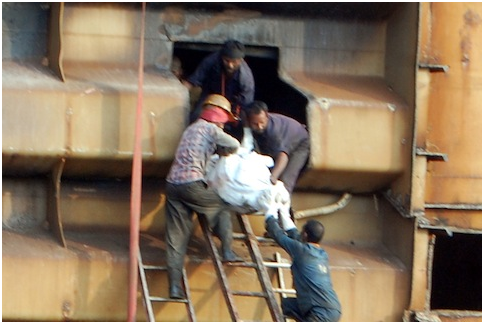 In the case of blast that killed and injured workers on June 28, 2014, ship's country of export and its IMO no. needs to checked as well to comprehend its background. I submit that in its last order dated July 30, 2012, Supreme Court directed, "the concerned authorities shall strictly comply with the norms laid down in the Basel Convention or any other subsequent provisions that may be adopted by the Central Government in aid of a clean and pollution-free maritime environment, before permitting entry of any vessel suspected to be carrying toxic and hazardous material into Indian territorial waters.” These repeated accidents since the order illustrate that Court's order has not been violated with impunity as if no rule of law exists. I submit that there is an urgent need to issue notices to Government of Gujarat, Union Ministry of Labour and Steel besides to the State Governments to which the migrant workers belong. Such ongoing deaths reveal the reason for opposition to shipbreaking activity in Kerala’s Azheekkal and in Gujarat’s Mundra is being opposed bitterly by villagers. I submit that the ongoing deaths of migrant workers from Uttar Pradesh, Bihar, Jharkhand and Odisha on Alang beach, Bhavnagar, Gujarat keep coming to light but nothing has been done to arrest these preventable deaths. On March 13, 2014 too, I had drawn your attention towards the “Ongoing deaths of migrant workers on Gujarat's Alang beach” This was to draw your kind attention towards the tragic deaths on March 11, 2014 of two workers in Plot No. 20 at Gujarat's Alang beach in Bhavnagar. I submit that following my complaint NHRC team of Dr. Savita Bhakhry, Joint Director, Research Division, NHRC, and Mr. K S Kochcher, Joint Secretary, NHRC visited the Alang-Sosiya Ship Breaking Yard on May 26 2014 under your leadership and witnessed the grim situation despite efforts to green wash and whitewash the deplorable working and living conditions on Alang beach where the industrial activity takes place. This accident of June 28, 2014 underlines the significance of your visit. I submit that it is quite outrageous that Gujarat Maritime Board (Conditions and Procedures for Granting Permission for Utilising Ship Recycling Plots) Regulation, 2006 [referred to as "Ship Recycling Regulations, 2006] has not been revised in the light of Hon'ble Supreme Court's order and the recommendations of Hon'ble Court's Inter-Ministerial Committee and Hon'ble Court's Committee. I wish to reiterate that the Minutes of the 16th meeting of the Inter-Ministerial Committee (IMC) on Ship breaking held on 1-10-2013 at Gandhinagar, Gujarat held under Chairmanship of Shri Vinod Kumar Thakral, Additional Secretary and Financial Adviser, Ministry of Steel & Chairman, IMC on Ship Breaking reveals that it dwelt on the issue of "Safety of workers." taken in respect of the accident on the website of GM B and prepare Standard Operating Procedures (SOP) for preventing such incident in future." dismantling in keeping with its directions. Sources have revealed that in disregard to Court's order so far the District Collector has chosen not to be associated with the dismantling process. Such non-compliance is unpardonable but appears routine. I submit that monitoring agencies like Gujarat Maritime Board, Gujarat Pollution Control Board, Department of Industry and Department of Labour ought to be made accountable with exemplary compensation to set matters right. 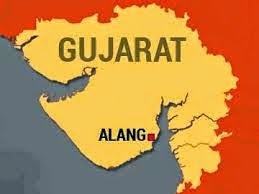 In the context of these deaths if Government of Gujarat were sensitive it would have ensured that no deaths happen in future by re-opening the old cases of occupational deaths on the Alang beach to set matters right. Those plots which are more accident prone than mines must be closed with immediate effect. The migrant workers deserve both medical and legal remedy besides just compensation. I submit that there were 10 deaths in 2013. It has not come to light as to what has Government done to ensure justice to the workers and what steps have been initiated to ensure that such accidents and deaths do not happen in future. These migrant casual workers live and work in a slave like condition. I submit that the fate of Alang coast which is the worst coastal beach in the world. 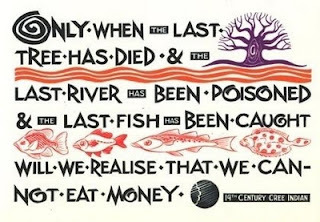 life in the long time. This leads to complex problems for protecting and conserving the Marine National Park and Marine sanctuary." I submit that these observations are quite relevant for the ship-breaking operations on Alang beach, Bhavnagar as well but government has ignored the similarity between the two. I wish to draw your attention towards UN Special Rapporteur's report based on his visit to Alang beach in January 2010. I had accompanied him during his visit at his invitation. adversely affected the livelihood of local communities surrounding the shipbreaking facilities, which often rely on agriculture and fishing for their subsistence" at page 9 of the report. years ignoring Navel Intelligence reports underlining threat to Alang's coastal environment. I submit that Government has failed to ensure that the guilty officials and ship breakers are made accountable. the umpteenth time since 2004. It is sad that recommendations of IMC from 2004 to 2014 onwards have not been implemented. I submit that after each accident and death of workers, inquiry is ordered but their report remains classified and no action has been taken. It is not clear whether these migrant workers are adequately compensated in case of injury and death. Government should reveal how they have dealt with the death of these workers and how their families have been compensated and what steps have been taken to prevent loss of human lives due to inhuman lust of ship breakers and global shipping companies for profit. problem which has been noted even by INTERPOL. According to Green Customs Initiative, national and international crime syndicates earn 20-30 billion US dollars annually from hazardous wastes dumping, smuggling proscribed hazardous materials. Clearly, environmental crime and escaping of decontamination cost by global shipping companies in collaboration with international recycling industry is a significant and increasingly lucrative business but Gujarat government has turned a blind eye to it. beach illustrates how all the efforts by the Supreme Court and UN agencies have been undermined with impunity. Adani Ports and Special Economic Zone Limited (APSEZL). This accident vindicates the demand of Kerala’s Azheekkal action committee of local residents for stoppage of ship breaking undertaken by Steel Industrials Kerala Ltd. (SILK) in the coastal area at Azheekkal, located near the estuary where the Valapattanam river falls into the Arabian Sea, 11 km from Kannur due to hazards from such industrial activity. In view of the above, I seek Commission's urgent intervention to ensure environmental and occupational health justice to the migrants workers and save the life and health of migrant workers and local communities from the hazardous industrial activities on Alang beach.